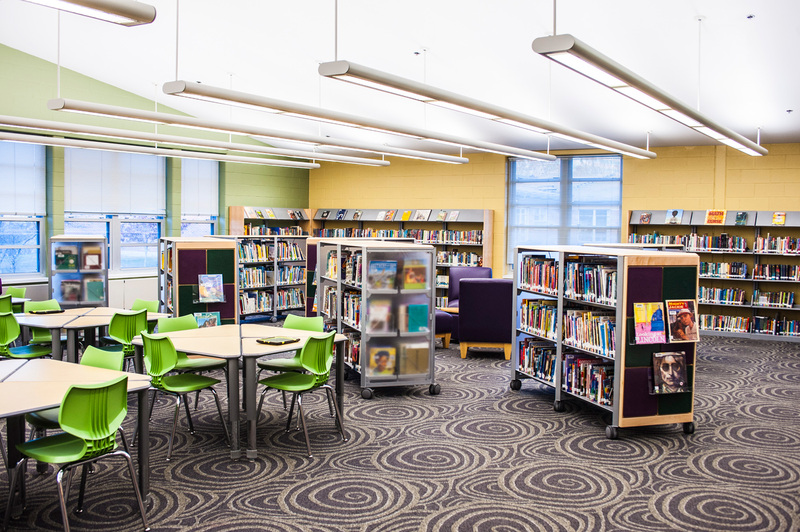 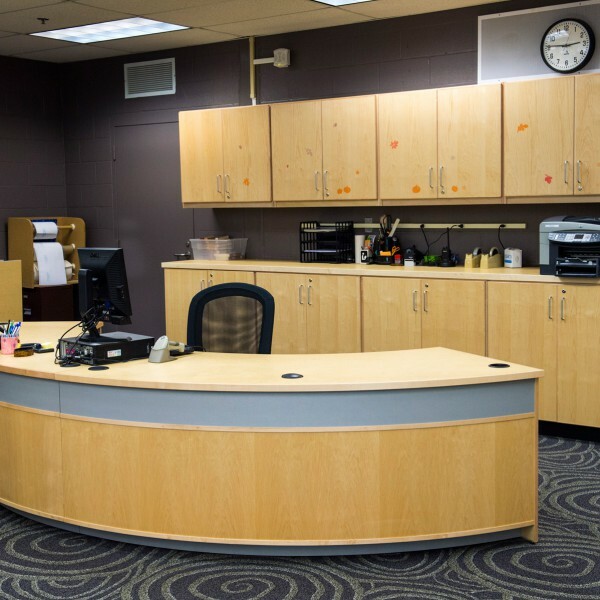 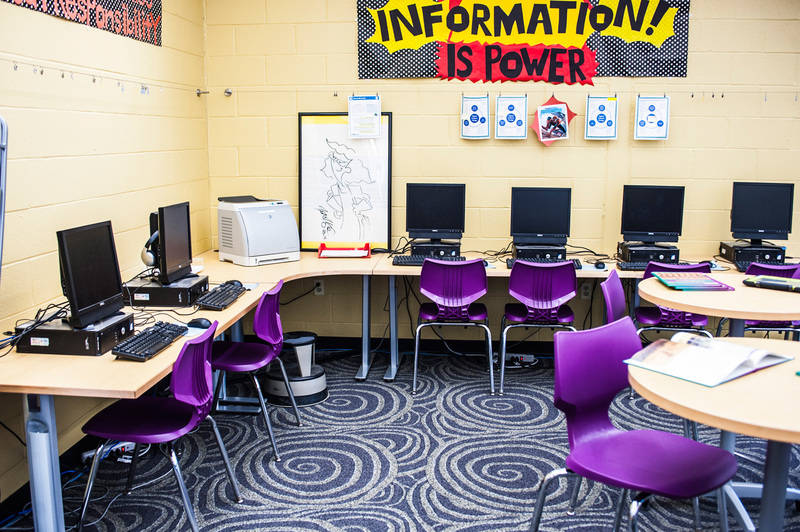 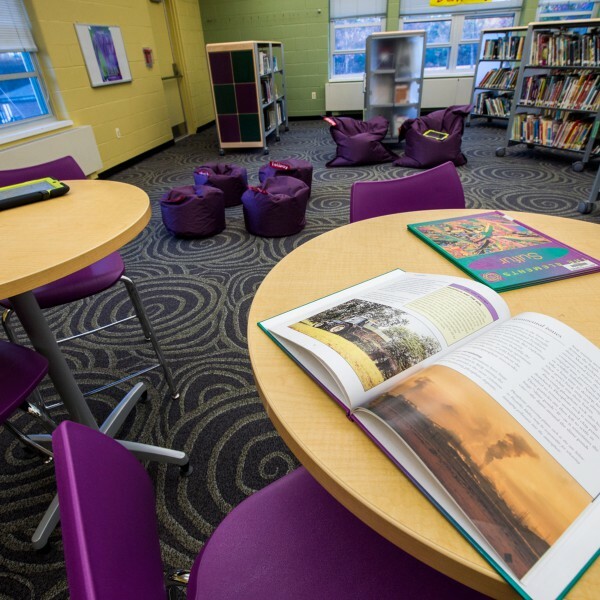 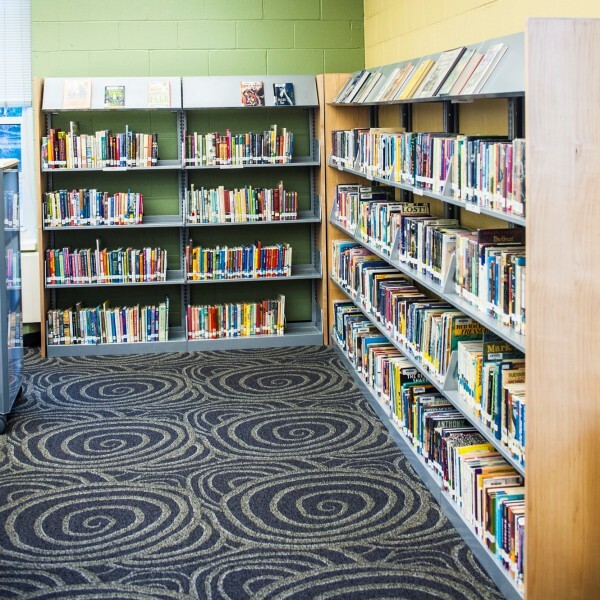 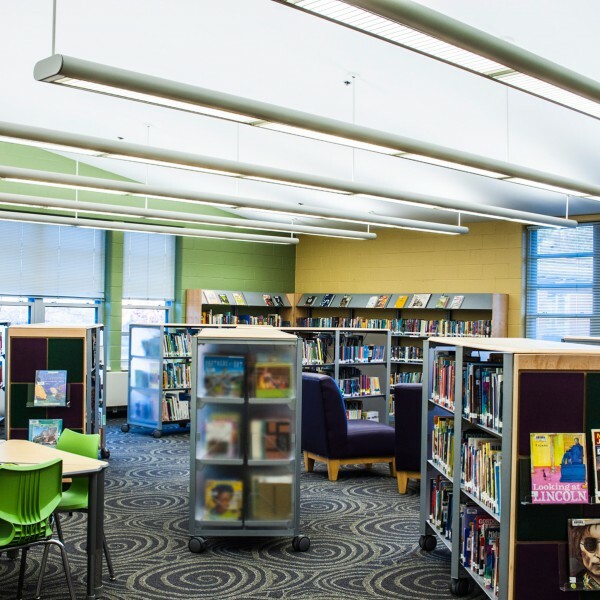 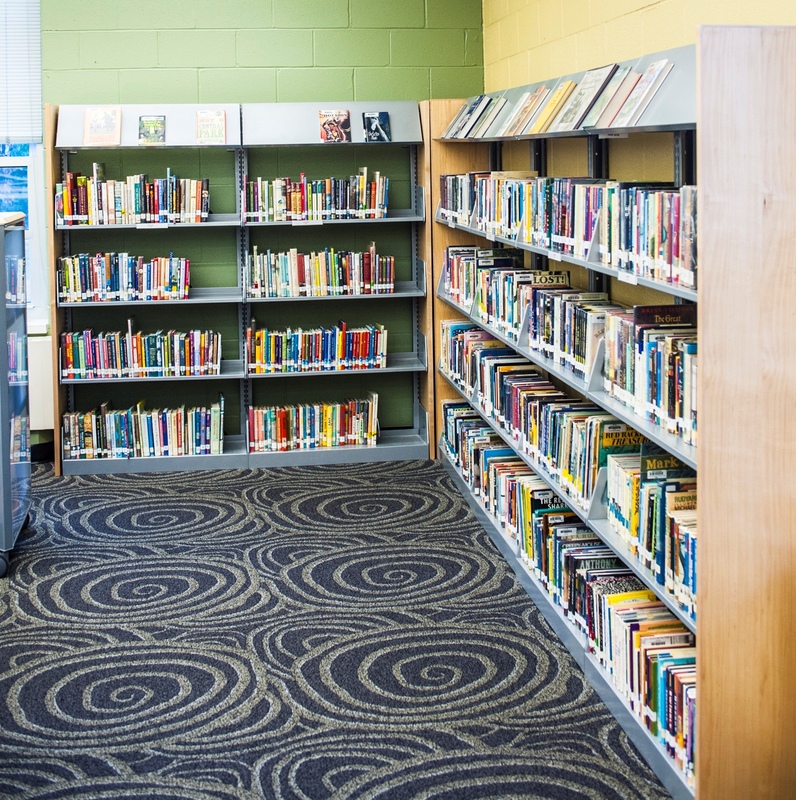 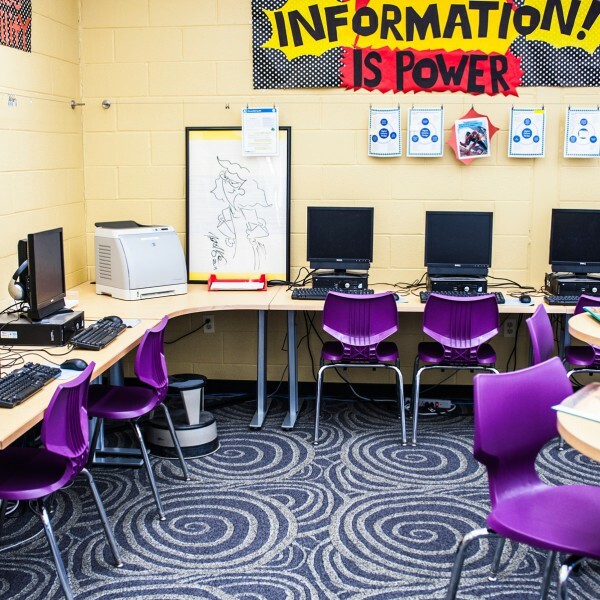 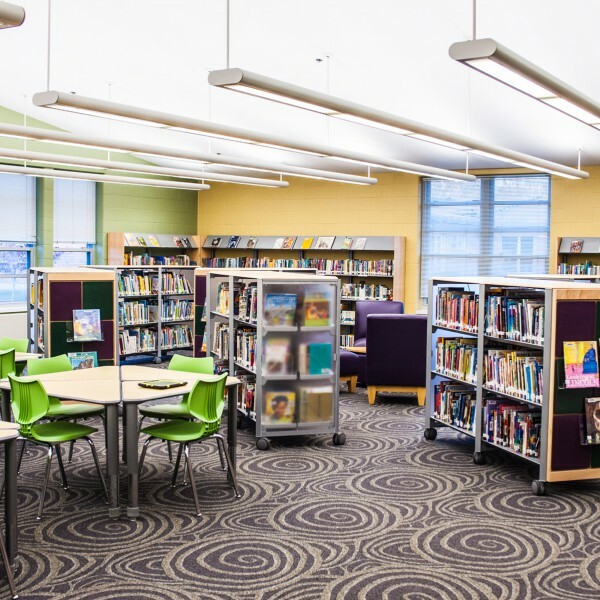 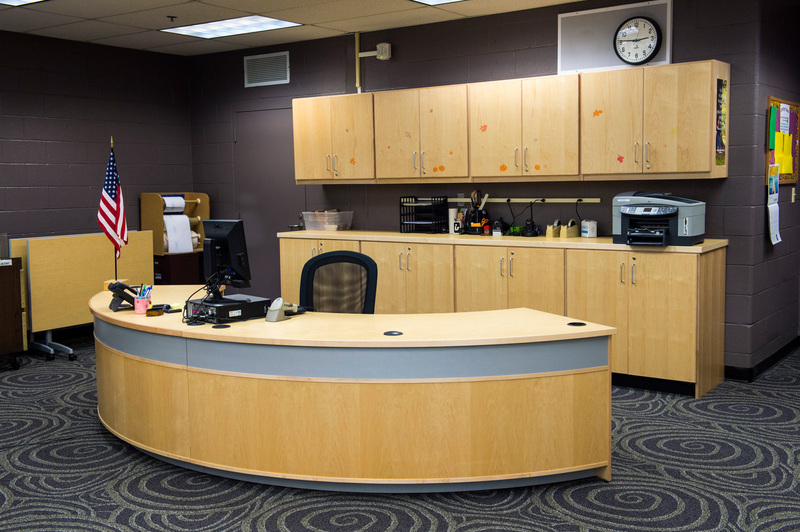 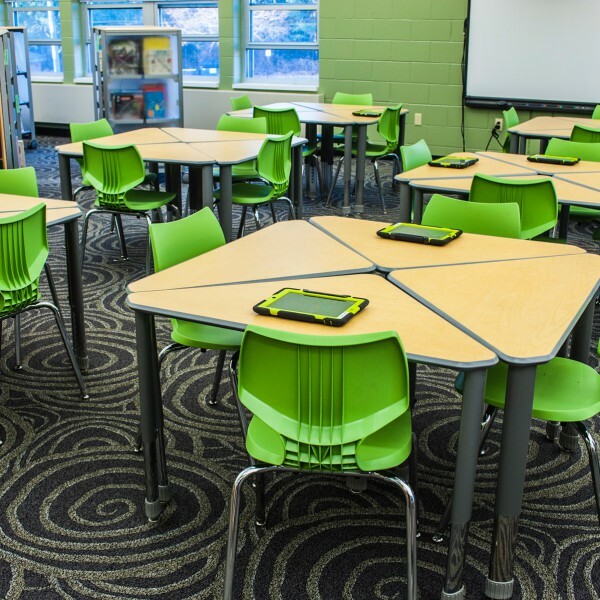 A collaborative effort with Ann Antolini School, DEMCO Interiors helped design and furnish a warm and welcoming library for children at this 3rd–6th grade school. 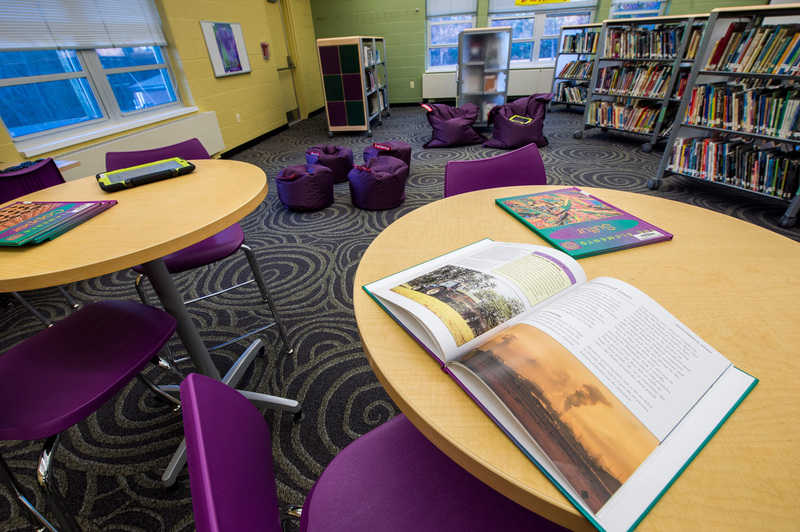 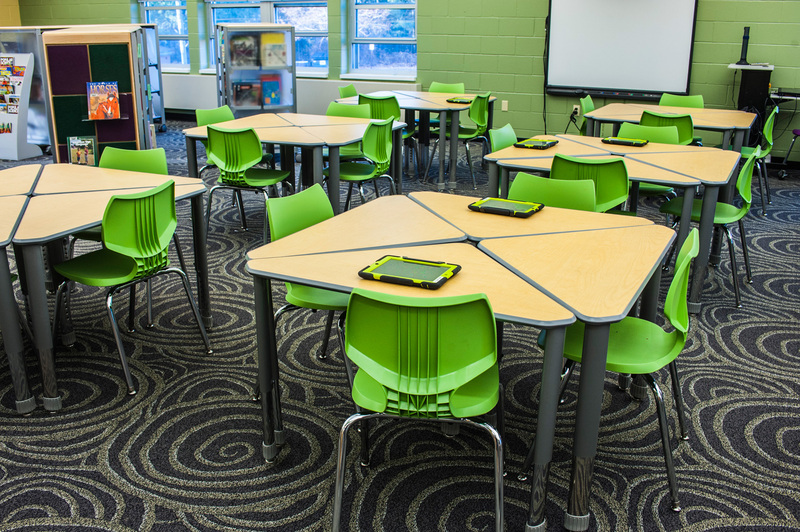 Areas for small and large groups and for both formal instruction or independent learning were also created. 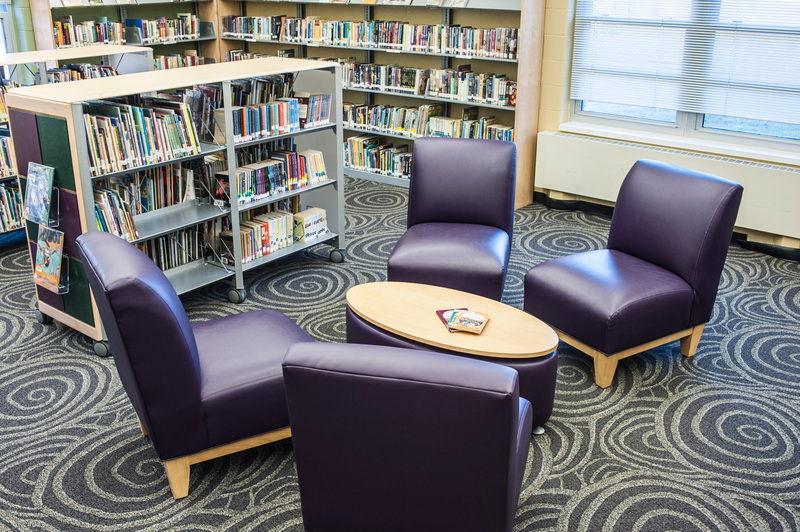 Flexibility of the furniture was a crucial part of the design as the space is frequently used for after-school meetings of various sizes. 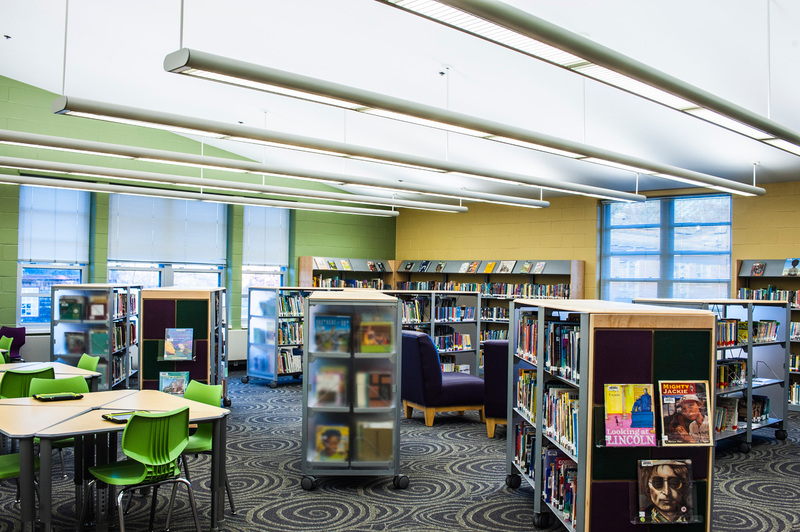 Students, parents and staff have embraced the new library and its wonderful assets, often commenting about how wonderful the library feels. 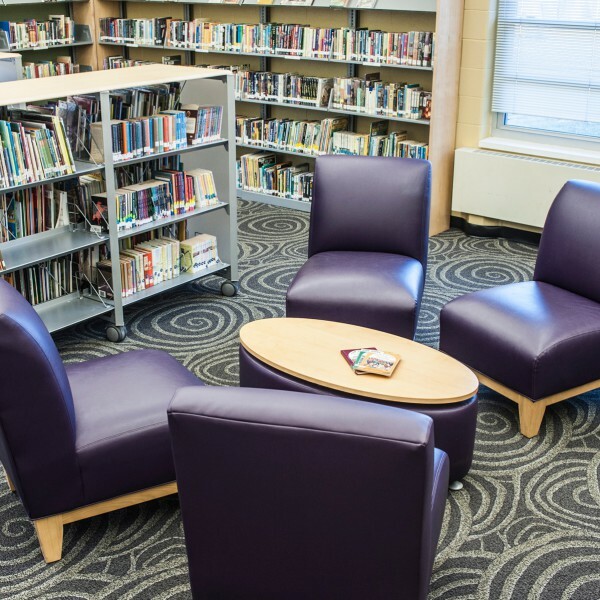 Students love having multiple places to work or read and now they’re able to work independently in the library without interrupting a whole class lesson.